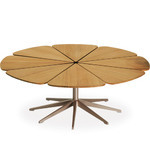 "I designed the Petal Table to accompany the Bertoia Chairs that Harry Bertoia designed for Knoll. 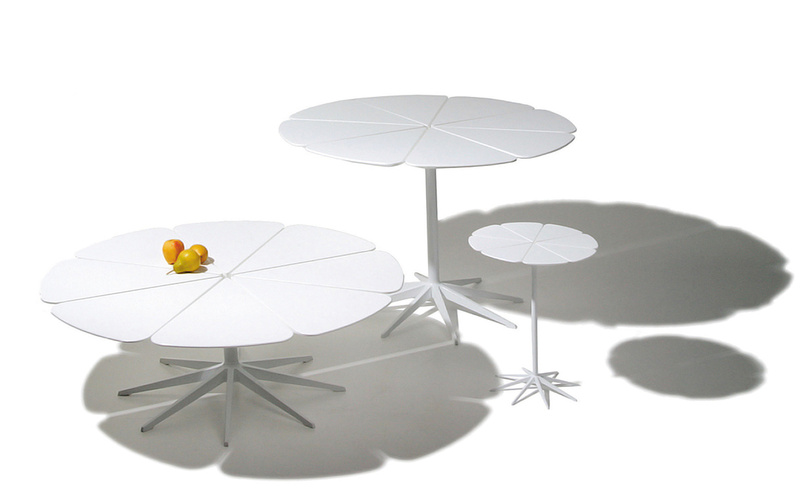 The tops on these tables are made of eight petals, which are mounted on a beautifully crafted cast aluminum spider. I was inspired by Queen Anne's Lace, a weed that grows near our house in Pennsylvania. Each cluster of flowers is supported on its own stem. 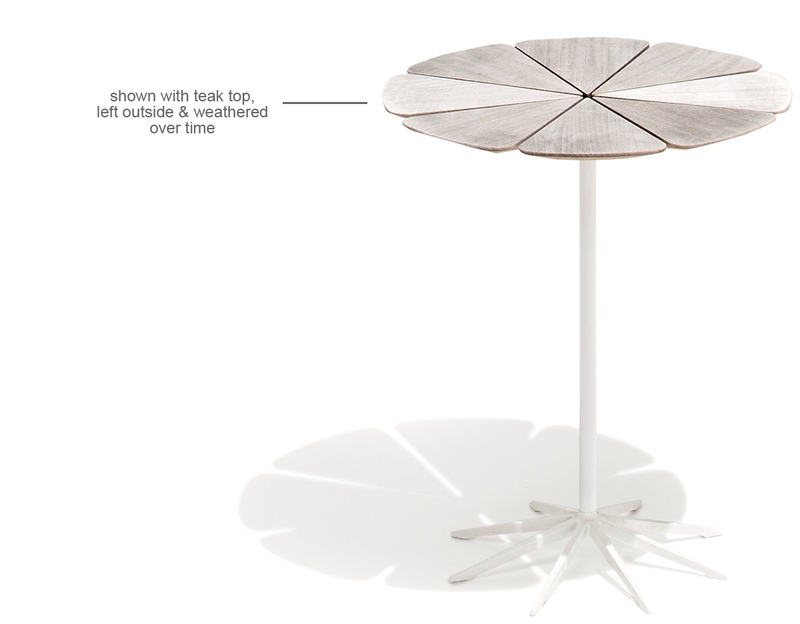 By making a table in this manner there is no need for a ring support, and each petal is independent which allows the table to expand and contract with the weather." 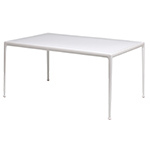 The tables were introduced by Knoll in Los Angeles in 1960 and were immediately made part of the MoMA Design Collection. 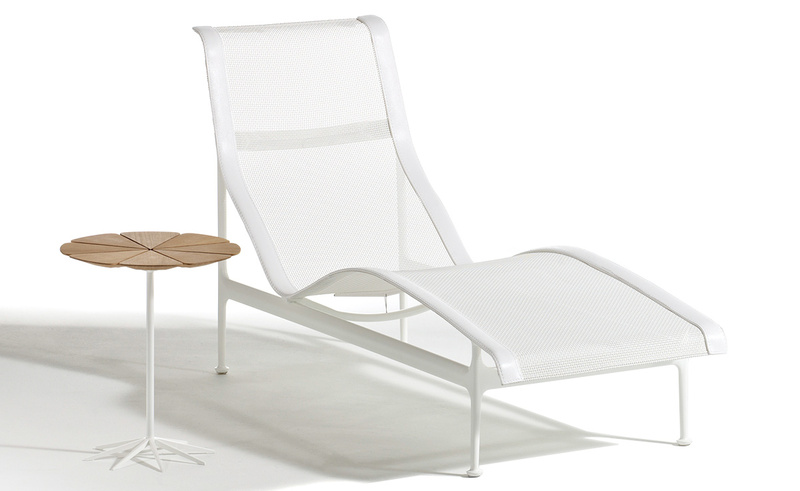 After 20 years, Knoll and Richard Schultz are together again, offering a comprehensive collection of durable, modern, and iconic outdoor furniture. 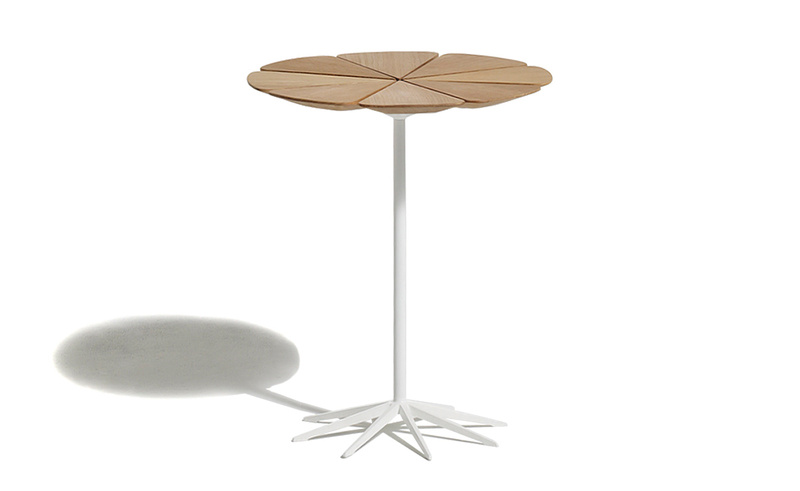 Richard Schultz is no stranger to Knoll. 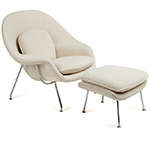 He previously worked with Harry Bertoia during the development of Bertoia's wire chairs and later designed the Petal Collection to accompany the Diamond Chair. 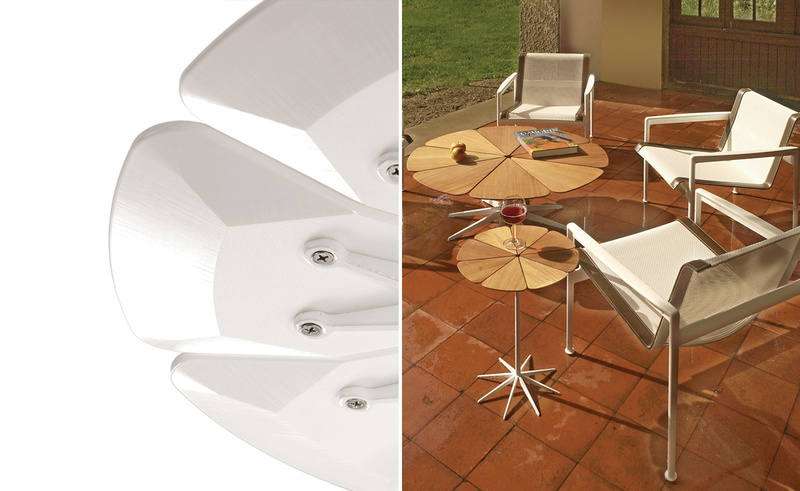 In 1992, Richard Schultz began his own furniture manufacturing and design company, where he and his son, Peter, have been able to build an impressive line of outdoor furniture collections including Topiary, Swell, and Mateo. 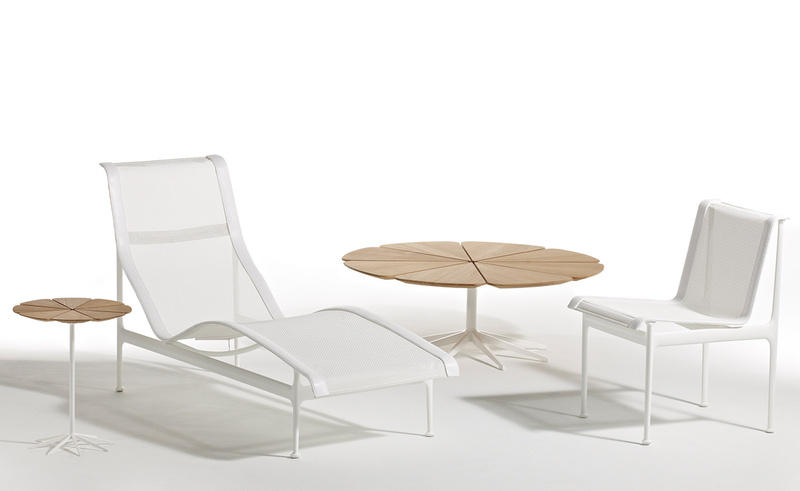 Now, after 20 years, Knoll and Richard Schultz are together again, providing distinctive modern outdoor furniture. 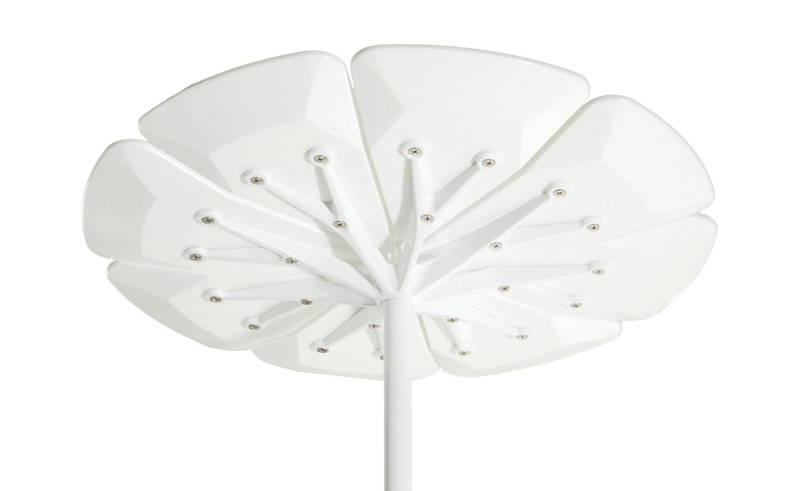 The Petal collection features an aluminum and stainless steel base and stem powder-coated in a variety of colors. 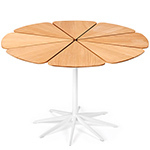 The top petals are offered in either white machined HPDE (High Density Polyurethane) or vertically grained Teak with a natural finish. 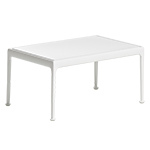 The collection is completed by the coffee and dining tables. Suitable for the outdoors. 19" h | 16" dia. | 5lbs. 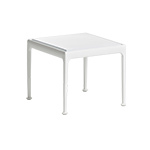 $1,017.00 + plus shipping in the continental U.S.